Chris Panarese became a Special Olympics athlete when he was just eight years old and he has never looked back. Special Olympics is a very big part of Chris’ life and he has loved every minute of his time with the organization. His favorite thing about Special Olympics is having fun with his teammates, whether it is at the Summer Games or at practice, Chris loves to be around his group of friends. 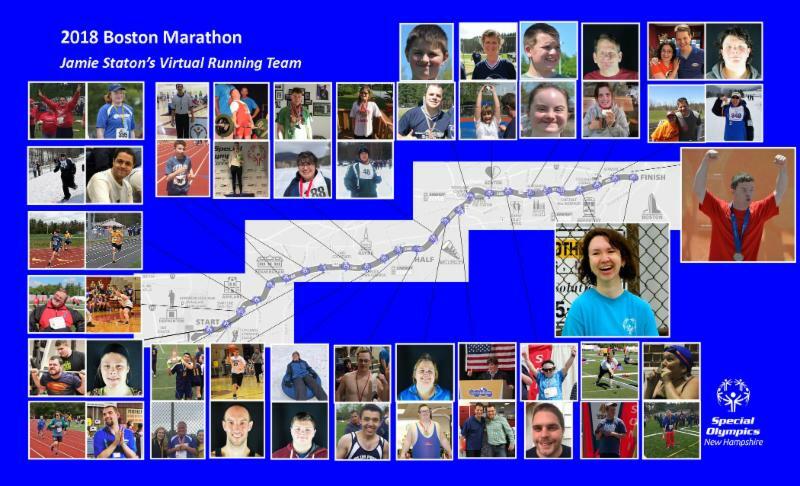 In addition, Chris is involved in the Global Messenger program that helps spread the message and vision as well as the benefits of participating in the Special Olympics. He has done a lot of speeches since becoming a Global Messenger and is looking forward to doing more in the future. 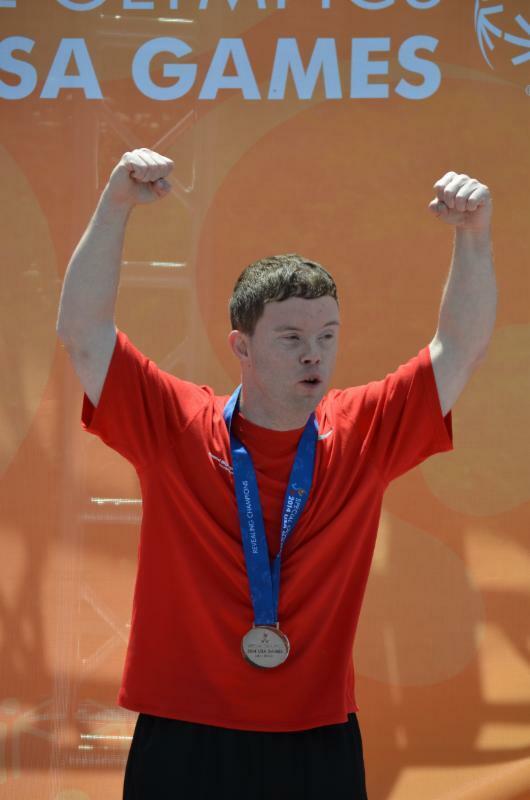 Chris participates in quite a number of sports, but his favorite is swimming because he has been doing it for 28 years. When he is competing Chris said, “it feels really great” and that he enjoys just getting out there and participating. His main motivations as an athlete are to simply get better and go for the gold, but most importantly it is it about having fun with everybody. When asked what Chris’ favorite moment has been with the Special Olympics he said it was competing at the 2014 USA Games in New Jersey. He was super excited that he got to swim at Princeton University and was proud to be selected to represent the state of New Hampshire. Chris had a lot of success at the games, bringing home four medals! It was quite an experience to remember for Chris and his family. Grace Zarka first got involved in Special Olympics in 2007 as a volunteer, but when she returned for the 2008 season she wanted to become an athlete. When she was volunteering she fell in love with the Special Olympics and wanted to start participating. Grace was in seventh grade when she first started competing and she believes that she has “improved a lot” since joining the Special Olympics. 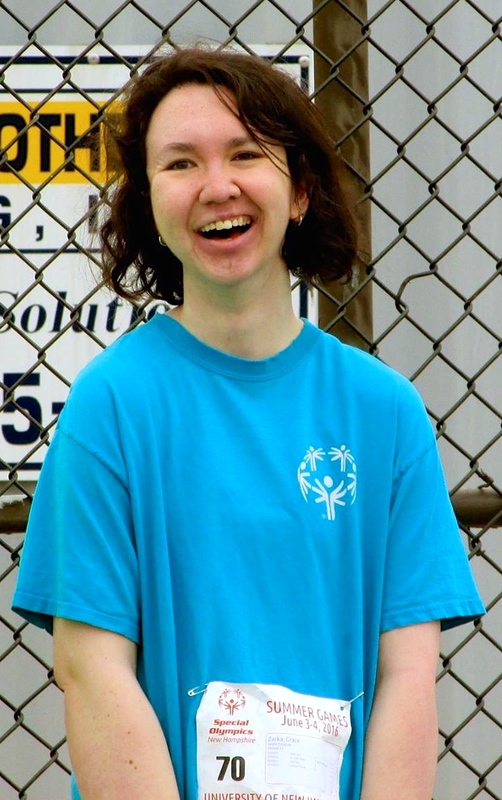 She also believes that Special Olympics has been an “amazing” experience socially for her. Grace has made a lot of new friends on her team and on other teams across the state. For the future, Grace hopes to continue improving on her athletic skills, continue making new friends and to continue to work as hard as she has over the years. Grace has come a long way since she has started and now has quite an array of medals and ribbons she has earned over the years. When asked if there are any particular medals or ribbons that she is most proud of she responded by saying, “All my awards mean a lot to me. I am proud of all my ribbons and medals that I have won.” To Grace they mean she has grown a lot as an athlete and she hopes to win some more in the upcoming events.